NOTE: Presidents’ Day, is a federal holiday held on the third Monday of February. Lincoln’s birthday (Feb. 12) and Washington’s birthday (Feb. 22) used to be celebrated separately before the two were combined into Presidents’ Day. In place of Daily News Articles, we offer this post on Abraham Lincoln. (Friday’s post was on George Washington.) The regular Daily News Article resumes Tuesday, February 20. HOW MUCH DO YOU KNOW ABOUT OUR 16TH PRESIDENT? 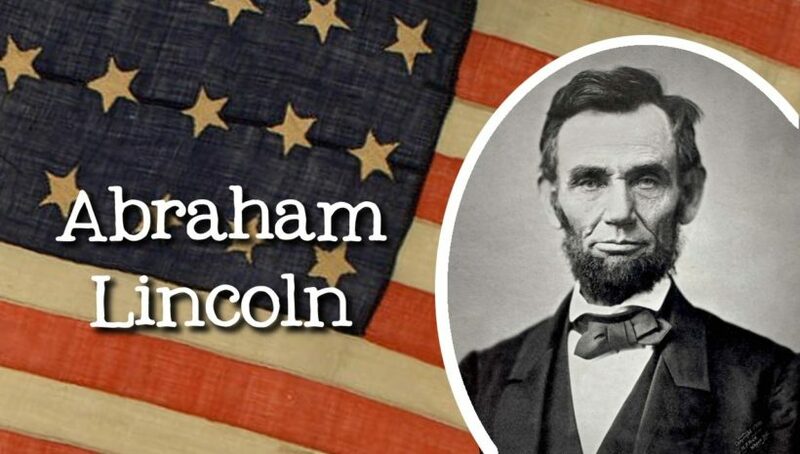 Abraham Lincoln was born on Feb. 12, 1809. Shot by John Wilkes Booth, Lincoln died at 7:22 a.m. on April 15, 1865. Read about Lincoln’s faith in God at at greatamericanhistory.net/lincolnsfaith.htm. Read Lincoln’s Emancipation Proclamation at archives.gov. Read about Lincoln’s first Thanksgiving Proclamation from 1863 (and the text here). When the armies marched away from Gettysburg they left behind a community in shambles and more than 51,000 killed, wounded, and missing. Wounded and dying were crowded into nearly every building. Most of the dead lay in hasty and inadequate graves; some had not been buried at all. This situation so distressed Pennsylvania’s Gov. Andrew Curtin that he commissioned a local attorney, David Wills, to purchase land for a proper burial ground for Union dead. Within four months of the battle, reinterment began on 17 acres that became Gettysburg National Cemetery. When the cemetery was dedicated on November 19, 1863, less than half the Union battle dead had been removed from their field graves. The principal speaker was the renowned orator, Edward Everett. As was common for the day, his detailed speech lasted for over two hours. The 272 words of the Gettysburg Address were formulated with great thought by Lincoln. He wrote the first draft in Washington shortly before November 18 and revised it at the home of David Wills in Gettysburg the night before the dedication. The speech transformed Gettysburg from a scene of carnage into a symbol, giving meaning to the sacrifice of the dead and inspiration to the living. Within a few years, however, the bodies of more than 3,500 Union soldiers killed in the battle had been reinterred in the cemetery. Following the war, the remains of 3,320 Confederate soldiers were removed from the battlefield to cemeteries in the South. Today the cemetery is the final resting place for over 6,000 honorably discharged servicemen and their dependents from the Civil War, Spanish-American War, World War I, World War II and the Vietnam War. 1. What 2-3 adjectives come to mind when you think of Abraham Lincoln? Explain your answer. 2. Take some time to visit the links on Abraham Lincoln in today’s post. Has your answer to question #1 changed? Explain your answer.